Fully occupied Twin 18-Story Towers, each with Cooling Towers, Penthouses, Sun Decks, and a beautiful lower Lobby areas. 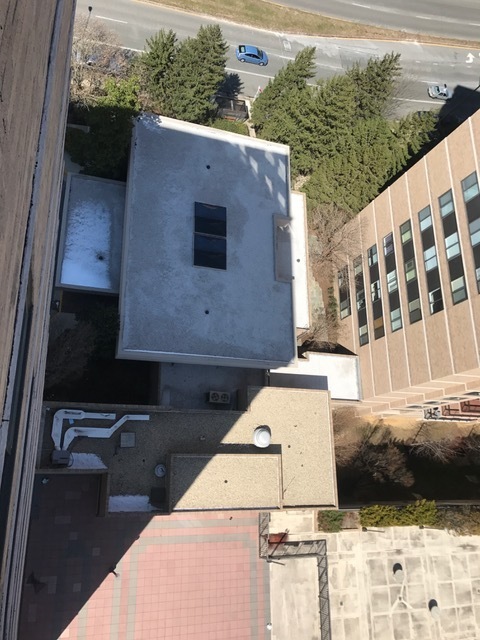 Throw in a full roof top mechanical system change out all to be coordinated together with the roofing project. This project utilized everything our company tagline represents in "Every Detail Matters." All material and debris was transported via power hoist and interior elevators. Crews worked safely will enjoying a truly awesome view from a top this prestigious facility. The project team worked seamlessly with owner representatives, manufacturer's reps, consultants, and multiple trades while trying to remain as out-of-sight as possible for the unit owners. The details of this project are so vast, the only things that can do it justice are the photographs. What an awesome project and group of people!